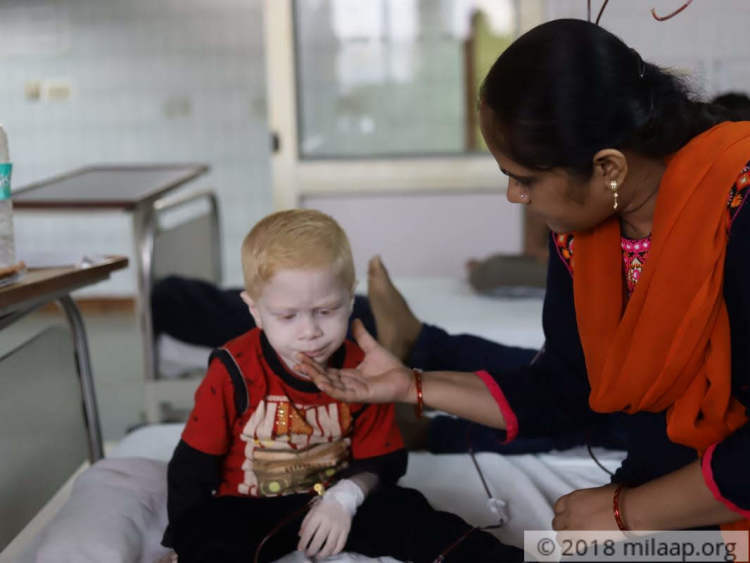 Every time Anoop and Sapna take Anay to the hospital, he simply hugs onto his favourite teddy bear while he gets the blood transfusions and wishes for it to get over soon. 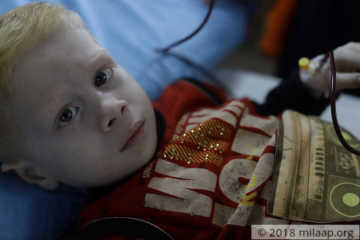 Anay is already under many restrictions because of his albinism, a genetic disorder that causes the skin, hair or eyes to have little or no color. He can’t go out in the sun and play like other kids because longer exposure to sunlight can give him a terrible headache. He even runs a high risk of skin cancer. Now his deadly blood disease has added to his struggle. 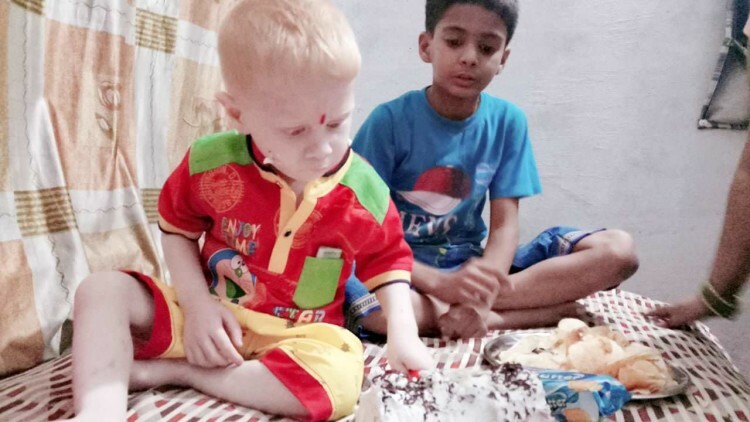 3-year-old Anay is now fighting two genetic diseases. He's weak and exhausted, and the only time he leaves his house is to go to the hospital. 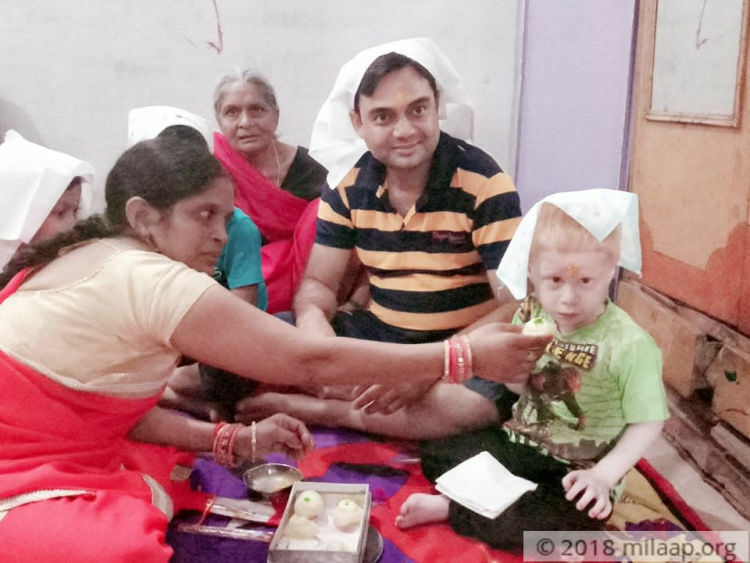 Anay was 1-year-old when he suddenly had a fever that was not subsiding. His temperature was very high and the parents were helpless as they saw him not getting any better. 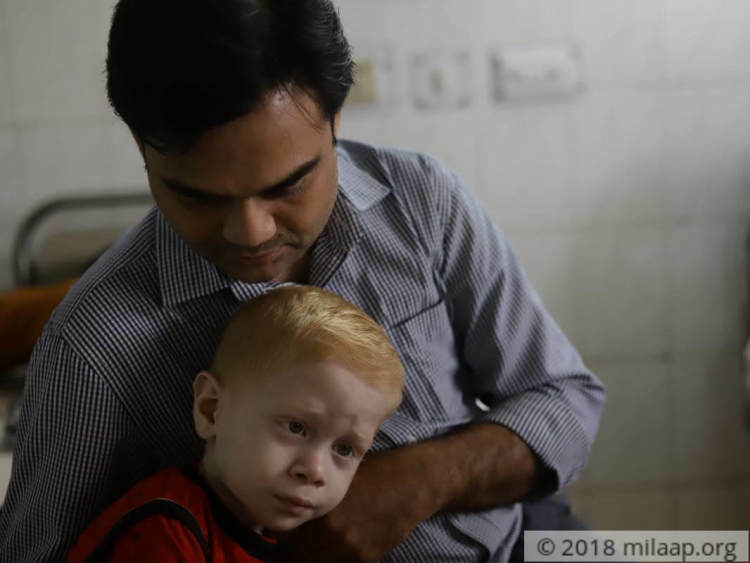 They took him to the doctor and several tests were conducted after which they got to know about Anay’s medical condition. 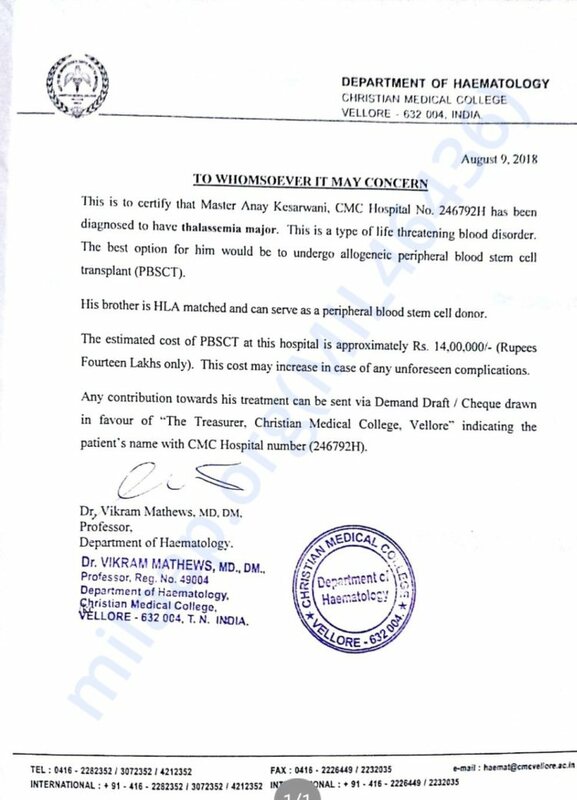 He has been diagnosed with a blood disease called Thalassemia Major in which the body makes an abnormal form or inadequate amount of hemoglobin. The doctors have now said that only a bone marrow transplant can help get Anay better. Anay needs blood transfusions for every 20 days. If that is not done at the right time, he gets very weak and can’t even get up from the bed. Anoop works as a life insurance agent and earns about Rs 10,000- 12,000 in a month. He has a family of four to support and he is the only earning member. Anay is fighting a severe blood disease that has left him very weak and tired. 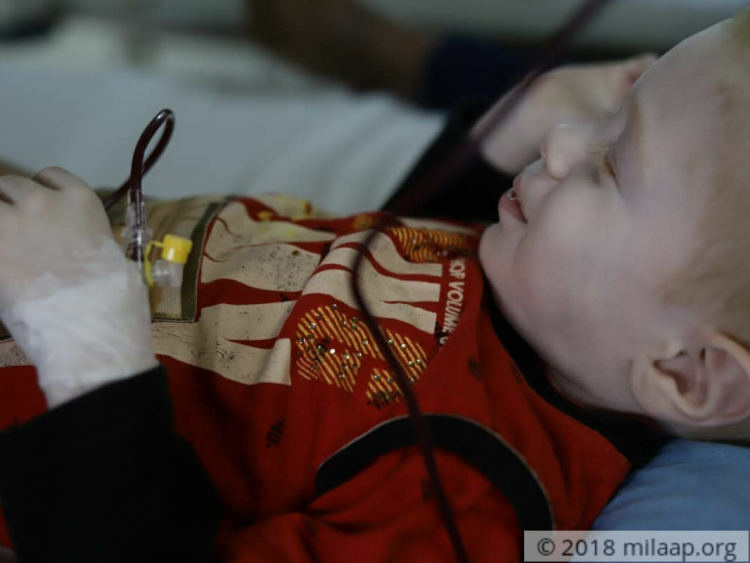 He needs an urgent transplant to survive but his family can’t afford the treatment. Your generous contribution can give little Anay a second chance at life.